Are you hosting Easter Dinner this year? Maybe you were just asked to bring dessert. 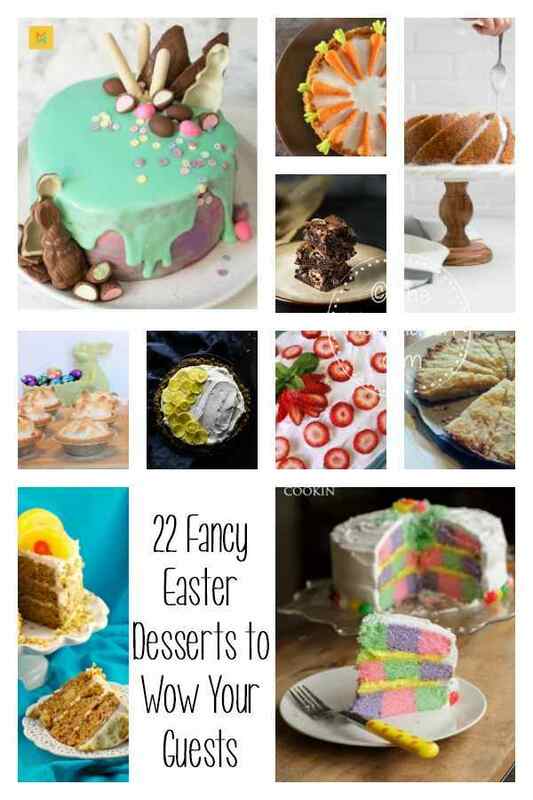 In either case I have 22 Fancy Easter Desserts to Wow Your Guests. 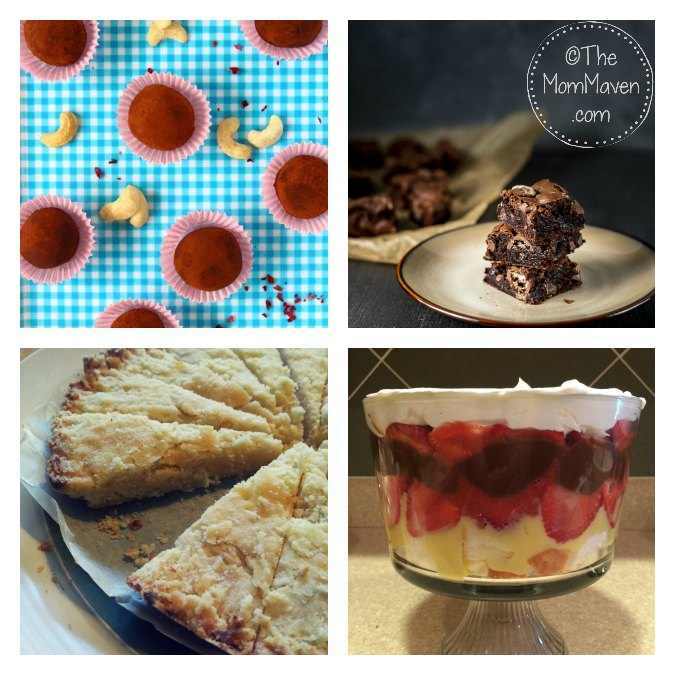 I teamed up with some of my favorite recipe bloggers to create this roundup for you. Lots of people think of carrot cake when they think of Easter dessert. This carrot cake from Food Meanderings is said to be healthy and light! Maybe Hybrid Rasta Mama’s Carrot Cake Cheesecake is more to your liking. This Orange Pound Cake from The Mom Maven is a personal favorite of mine. Yum! Baked Broiled and Basted shares her Strawberry Delight Ice Box Cake! I love a good Humming Bird cake. This Humming Bird Cake from Raia’s Recipes is Gluten Free and Dairy Free! 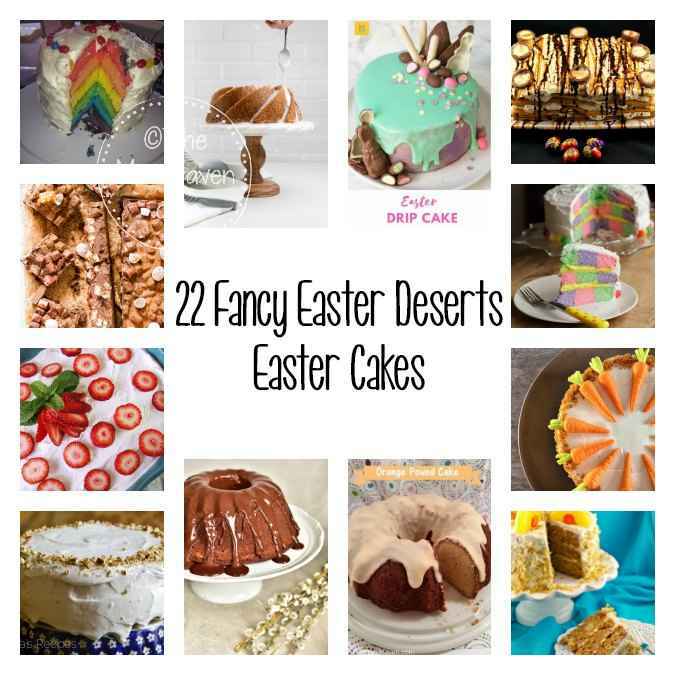 I need to try this No Bake Easter Creme Egg Ice Box Cake from Food Meanderings! My Rainbow Cake from The Mom Maven was a lot of work but it impressed my extended family! Everyday Delicious shared this impressive Chocolate Orange Bundt Cake. Fans of Rocky Road should try this Rocky Road Cake from Recipes from a Pantry. I’ve always wanted to make a checkerboard cake. Maybe I’ll try this Easter Checkerboard Cake from Amanda’s Cookin’ since we are going to an Easter celebration where there are chocolate allergies! Merkari Mother shares this beautiful Easter Drip Cake! This Lemon Chiffon Pie from Went There 8 This would be a beautiful addition to any Easter table. I am intrigued by this Creme Egg Chocolate Ganache Tart by Baking Queen 74. These personal Raspberry Lemon Meringue Tarts from The Olive Blogger look heavenly! Need a Vegan Easter Dessert? Rhian’s Recipes shares her Vegan Cashew Chocolate Truffles recipe with us today. Love Lemon? Try these Meyer Lemon Shortbread Cookies from The Curious Frugal. 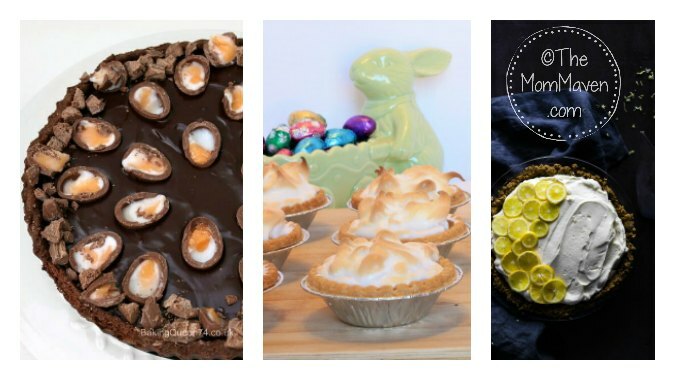 I am obsessed with all of these Creme Egg Recipes!! Went There 8 That shares her Cadbury Creme Egg Brownies! It is about time I make my Strawberry Trifle again, it is so yummy! 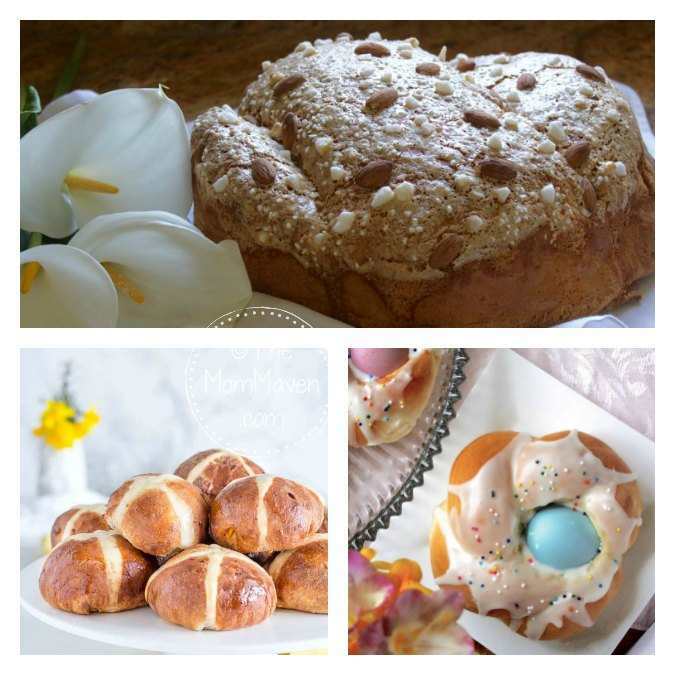 The Individual Easter Italian Bread Rings from Christina’s Cucina are so cute! Hot Cross Buns are an Easter staple. Have you ever had Coconut Mango Hot Cross Buns? Recipes from a Pantry shares her African recipe with us today. Christina’s Cucina shares another recipe with us as well, her Italian Dove Bread, which is also known as Colombia di Pasqua. I’m sure you have found at least one recipe here to try. I know I have!! Make sure you come back next week to see all the fun and whimsical Easter desserts!